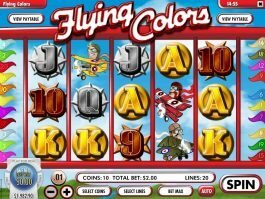 Long seen by many as the funniest, fastest, most exciting way to play slots, slots tournaments are a strong draw for many players for a whole host of reasons. The question is, what is a slots tournament and how does a slots tournament work? 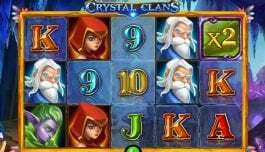 Traditionally, as we all know, slots are a single player game. While slots in brick and mortar casinos are usually placed in long rows where players sit side by side, at the end of the day, no matter how many people are seated next to you in the crowded casino, the game comes down to you and the machine and, win or lose, you’re on your own. That’s where slots tournaments differ. 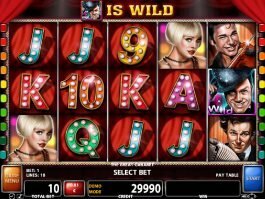 As an exciting way to turn slots play into a social game, slots tournaments are great fun for competitive players who like not only the thrill of winning on their own, but that of beating out a host of competitors for great cash prizes. In fact, for some people winning the slots tournament title and seeing their name on the leaderboard in lights is almost as important as the great cash prizes involved. Competing in a tournament adds a whole new dimension of thrills to slots play for many slots enthusiasts and slots tournaments come in many shapes and sizes. Here we’ll take a look at some of the most common slots tournaments, including free slots tournaments for real money, traditional brick and mortar casino slots tournaments, like the kinds you’d find in Las Vegas, Atlantic City or Macau and online slots tournaments, like the kind you’ll find right here at Slotu. So, to jump right in, how does a slots tournament work? The basic format of all slots tournaments is essentially the same. Obviously different tournaments will have slight variations of these basics to add a degree of uniqueness to the gameplay, but in general, it’s safe to say the fundamentals are fundamentals. Whether you are entering a slots tournament in a traditional brick and mortar casino or an online casino like right here at Slotu, the first thing you need to do is register. All slots tournaments, in traditional or online casinos will start at a particular date and time, so it’s important to register in advance to join in the gameplay. Registering after the start date and time and joining the tournament late is a fool's errand, as slots tournaments are essentially races. To do so would be like joining the 100-meter dash after everybody else has already run the first 50 meters. Doesn’t really make any sense, does it? Registration, however, is fantastically easy. At brick and mortar casinos you simply select the slots tournament you want to play, sign up and pay your buy-in. Almost all slots tournaments will require a buy-in. We have to say “almost all” because there are free slots tournaments for real money, often offered by brick and mortar casinos or sometimes even online casinos to regular players as a bonus gift, as it allows players to have tons of fun with no risk and great possible rewards. At a traditional casino, in Las Vegas, Atlantic City or Macau, for example, once you sign up and pay your buy-in you’ll be assigned a seat in a particular slot. It’s important to keep in mind that different types of tournaments use different machines. So, when you’re selecting which slots tournament you want to play, look for one that involves a machine you love and know well. 5-reel machines with multiple paylines, prize multipliers and bonus rounds can be a blast but make sure you’ve played the machine before. Remember, a slots tournament is a type of race, so you want to know in advance the best betting strategies and how to play the slot bonus rounds, so you don’t have to lose time figuring out your options. After registration and paying your buy-in you’ll be allocated a number of credits on the slot hosting the tournament. It’s also important to keep in mind that these are used it or lose it credits, so you want to make sure to play literally as fast as you can to maximize your chances of winning the greatest amount of points and taking home the title. You’ll be competing against all the other players in the tournament for first, second and third prizes (more on that below) that are awarded based on the number of points (coins you win) you score throughout the allocated time for slots play. Traditional casinos also offer what are called Sit&Go slots tournaments. In this variant you register and pay your buy-in, then sit at your assigned slot. Once the required number of players have registered for the tournament, it’s time to go and start playing. These tournaments present a great opportunity to socialize with your fellow players before the game starts and size up the competition. 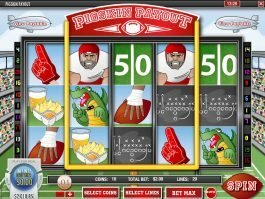 Many people take a particular joy in knowing personally who they beat to win the title in a slots tournament, which adds yet another dimension to the fun. Online slots tournaments work very similar to traditional casino slots tournaments, in-so-far as you register first, and get a username alias but without the surrounding distractions you have in a classic brick and mortar casino. In online slots tournaments, your real username is not used, as it could compromise your privacy and/or the security of your account, so nine times out of ten, depending on the quality of the online casino, you’ll be asked to provide an alias to identify you for the tournament. Then comes the buy-in. The buy-in is the standard fee players pay to join the tournament and will reflect both the number of credits you receive to play for the time of the tournament and the total amount of the prize pool. Certain slots tournaments are capped in terms of total prizes, to make they more “exclusive” by limiting the number of competing players. Others are open, with the more people playing in the tournament the higher the overall prize pool. It’s important to shop around when selecting an online slots tournament to find the one that’s just right for you in terms of length or play, number or minimum and/or maximum competitors and prize pool structure. Once you register and pay your buy-in you’ll see the tournament time, duration and details on your screen. As slots tournaments are a race, it’s vitally important to keep track of the start time. You don’t want to be distracted or looking the other way when the starting gun goes off! 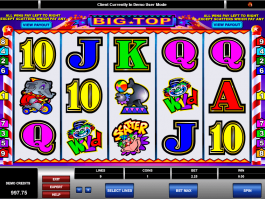 Try some demo slots before hitting a slot tournament! In general, as we said before, almost all online slots tournaments follow the same basic structure with simple variations in the rules to make each tournament unique. Once you’re all registered and have bought in you’ll see a list of the other competitors’ aliases on a leaderboard. This lets you know how many other players are involved in the tournament and where they stand as the tournament progresses. You’ll also see a clock, that will start with the total amount of time for the tournament and count down to zero when the tournament will end. You’ll also see something referred to as a coin box and a win box. Your coin box shows you how many coins you have left to play. Keep in mind, as we must stress again and again, a slots tournament is a competition of sorts and the coins you are allocated to play with are use ‘em or lose ‘em, meaning it’s mission critical for you to have gone through all of your coins before the time is up if you want to take full advantage of your play time potential to win the title. The win box will show how many coins you have won during the tournament. Every time you hit a winning combination, the number of coins you won will be registered here. The balance of your coin box will continue to grow as you keep playing and winning. This will be the ultimate number determining your final place on the leaderboard and whether you won or lost the tournament. 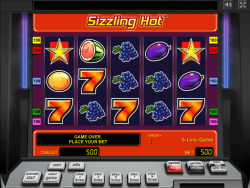 Slots tournaments can be thought of as an exciting adventure in speed, concentration and endurance. Slots tournaments, whether online or at a traditional casino happen fast, very fast. Your goal is to spin as many times as you can and use as many of the credits you have been allotted to chalk up the greatest number of coin wins before the final bell. For the most part, slots tournaments last 15 minutes. That said, there are many different types of tournaments some of which, we kid you not, can last for hours. Most slots tournaments are quick sprint races, some however, are true marathons. One of the nice things about slots tournaments, depending on their size and scale is that unlike, for example, the Olympics, where there are only three places on the leaderboard for bronze, silver and gold, many slots tournaments will award prizes down to the 40th place or even further down, depending on the number of participants. So, when we think of winnings, let’s presume your slots tournament buy-in is $20 for a major online slots tournament. You kick down your $20 in hopes of a capped top prize of $20,000. Unfortunately, it’s really not your day and in the end, you place 35th place on the leaderboard. You still pull down a cash prize of $100 meaning you not only had some good competitive fun but you also came out on top in the end even though you were having a bad day. 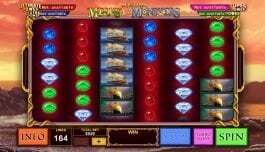 That’s part of the true excitement and fun of online slots tournaments. Slot tournaments are a bit different game, but still be sure and check exclusive Slot Machines Tips and Tricks we prepared just for Slotu players! The cool thing about slots tournaments, whether your playing in a packed noisy casino in Las Vegas, or Atlantic City or at home online, is that slots tournaments are truly luck based. In other words, they require no strategy at all. Every single player in the slots tournament has the exact same odds of winning as you do as long as they play fast enough. So, while there may be no strategy involved, there are three key things you can do to increase your chances of winning. 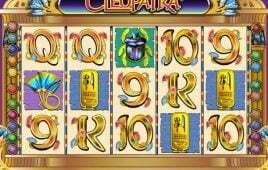 The first is to familiarize yourself with the slot you’ll be playing. Get to know it’s ins and outs. This, simply, will save you time and keep you from getting distracted when playing for real money in a tournament. The second tip is to always bet max. Many great bonus features, like slots with free spins, prize multipliers, etc. will only trigger these features if you bet max. So even if you feel the slot is cold and it may be better to pace yourself and bet midrange, keep in mind this is a true race and you need to do everything you can to maximize your winning potential. So, indeed, always betting max is really the only way to go. Finally, play as fast as you can, really, no kidding. The vast majority of slots tournaments are sprints, not endurance races. It’s your job to use all those credits in the time allotted, in other words, to spin as many times as you can before the final bell. The tortoise and hare analogy doesn’t apply here. You need to be a cheetah and make straight for the finish line if you hope to see your name in lights. Now, as we said before, not all slots tournaments are created equal. Most are outright sprints, some are true marathons. As a result, different tournaments may offer special features to increase your chances of winning. Examples of these types of special features include rebuy and continue play options. Rebuy is a special feature that allows you a “do over” if you didn’t do as well as you liked in the original tournament round. Rebuy allows you to re-purchase your original set of credits and resets your coin box and win box to zero. You are then given the same amount of time to play as you had during the initial tournament round. At the end of the allotted time your new score will go in the leaderboard, ideally much higher up than your initial first try! Continue play is a special feature that allows you to purchase more coins in the middle of tournament play. In the event you’re doing well and playing so fast you’ve run out of the coins that come with your initial buy-in, continue play allows you to buy more coins, a distinct advantage, to keep playing. Your win box points remain the same, but your coin box points go up according to the amount you are allowed to purchase in the continuous play feature. This allows you to keep playing and winning, ideally pushing you to the top of the leaderboard and fantastic prize money. While both these special features cost more money, they can be excellent ways to increase your overall standing on the leaderboard and pick up the great cash prizes that come with being a true winner!